This multi-media course includes a combination of 51.5 hours of video presented by Dr. Welch and Dr. Svoboda, accompanying handouts, end of lesson quizzes and a course certificate. We conduct an in-depth exploration of the language and foundational principles and concepts of Āyurveda. If you are able to fully understand and digest this course, together with Foundations of Āyurveda Part II, they are comparable to a semester of Āyurvedic in-person training. Together they provide a comprehensive, strong foundation in the principles of Āyurveda, sufficient to prepare students to incorporate more subtle Āyurveda concepts and practices into a yoga practice, an established medical practice, or to go on to pursue clinical study in Āyurveda. You can begin this course any time you wish and take up to a year to complete it. (For options for longer access see, “How long will it take me to do the whole course & how long will I have access to it?” in the FAQs below). You can complete the course on its own, or combined with our private or group tutoring. To get the most out of it you will need to take your time. While a couple decades ago, it was hard to find any information on Āyurveda in the West at all, today we face a different challenge. There are so many Āyurvedic educational resources that it can be daunting to find ones we trust to be accurate, authentic, and well-organized. It took years for Drs. Svoboda and Welch to obtain, assimilate, practice, and organize this knowledge in a manner that the Western mind may readily grasp. The potency of this course lies in its enlivened, organized, concise delivery of in-depth, authentic information and knowledge, based in rich experience. If you have already studied Āyurveda and would just like to review certain subjects, consider taking just the parts of this course that you would like to review. All sections are available as stand-alone lessons. (Just please note that each of those stand-alone lessons is taken out of the context of the entire course, so may contain references to material presented earlier or later in the course). For a little taste of what to expect before you sign up, here is a little introduction to Dr. Welch & Dr. Svoboda, recorded at the taping of this course. you are new to Āyurveda and looking to begin an in-depth study of it. Possibly you are considering eventually working with patients or adding Āyurveda to your already existing health-care practice. This is an intensive course. you want to take Foundations of Āyurveda Part II. 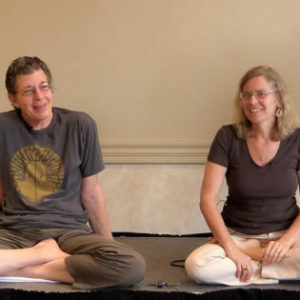 Foundations of Āyurveda Part I, or comparable education, is a prerequisite for the Foundations of Āyurveda Part II course, also taught by Dr. Welch and Dr. Svoboda. 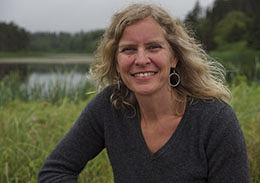 This online course consists of 11 lessons, each containing one or more videos of Dr. Welch and Dr. Svoboda teaching, a lesson handout and an end of lesson quiz. There is also a course discussion forum where you can discuss your learning with fellow students. 1. Know and understand the definition of Āyurveda. 3. Know and have an introductory understanding of how exercise, falling in love, focus, rest, and eating well can all be used to support learning new information. 2. List and have an introductory understanding of the main elements of sāṃkhya philosophy: (avyakti–puruṣa–prakṛti–mahad–buddhi–ahaṃkāra–sattva: 5 sense faculties + 5 faculties of action + mind; rajas; tamas: 5 tanmātras—sound/śabda, touch/sparśa, form/rūpa, taste/rasa, odor/gandha associated with the 5 elements/mahābhūtas—space/ākāśa, air/vāyu, fire/agni, water/āpas and earth/pṛthvī). 1. List and have an introductory understanding of the 5 elements/mahābhūtas—space/ākāśa, air/vāyu, fire/agni, water/āpas and earth/pṛthvī). 2. List the 10 pairs of guṇas, in English and Sanskrit. 1. 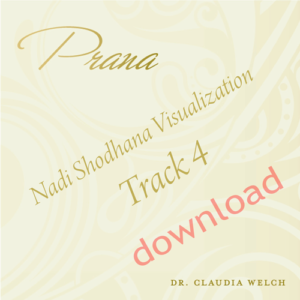 Be familiar with tridoṣic theory: Have an introductory understanding of the relationship between microcosmic and macrocosmic relationship between the triadic octaves of reality: anila, sūrya, soma vs. prāṇa, tejas, ojas, vs. vāta, pitta, kapha–tridoṣic theory. 2. List the times of day and age associated with each doṣa. 3. List the elements associated with each doṣa and each of the 6 tastes. 1. List the guṇas (qualities) of vāta. 2. Know the main sites of vāta accumulation in the body. 3. List the main functions of vāta. 4. Know the general causes of vāta imbalance. 5. Know the 5 subtypes of vāta and their main sites, functions and directions of their movements (for vāta). 6. Know the main therapeutic site for vāta. 7. Be familiar with doṣa sāmya vaiṣamya (normal vs abnormal signs of doṣas), as pertains to vāta. 8. Be familiar with: doṣa vṛddhi = quantitative increase in doṣa accumulated, doṣa kṣaya = decreased quantity, and sama doṣa = balanced and normal, as pertains to vāta. 1. List the guṇas (qualities) of pitta. 2. Know the main sites of pitta accumulation in the body. 3. List the main functions of pitta. 4. Know the general causes of pitta imbalance. 5. Know the 5 subtypes of pitta and their main sites, and functions. 6. Know the main therapeutic site for pitta. 7. Be familiar with doṣa sāmya vaiṣamya (normal vs abnormal signs of doṣas), as pertains to pitta. 8. Be familiar with: doṣa vṛddhi = quantitative increase in doṣa accumulated, doṣa kṣaya = decreased quantity, and sama doṣa = balanced and normal, as pertains to pitta. 1. List the guṇas (qualities) of kapha. 2. Know the main sites of kapha accumulation in the body. 3. List the main functions of kapha. 4. Know the general causes of kapha imbalance. 5. Know the 5 subtypes of kapha and their main sites, and functions. 6. Know the main therapeutic site for kapha. 7. Be familiar with doṣa sāmya vaiṣamya (normal vs abnormal signs of doṣas), as pertains to kapha. 8. Be familiar with: doṣa vṛddhi = quantitative increase in doṣa accumulated, doṣa kṣaya = decreased quantity, and sama doṣa = balanced and normal, as pertains to kapha. 1. Know and understand the meaning of prakṛti and the 7 main categories of prakṛti. 2. Be able to determine probable physical prakṛti. 3. Be able to list etiological factors that affect prakṛti. 1. Be able to define vikṛti. 2. Be able to determine probable vikṛti. 3. Be able to list etiological factors that affect vikṛti. 2. List the qualities and functions of agni. 3. List at least 10 signs of healthy agni. 4. List at least 10 indications that agni is impaired. 5. Name the 4 clinical classifications of agni and understand their probable physiological effects. 6. Define āma and understand how it is formed. 7. List possible causes of āma formation, symptoms associated with the presence of āma and possible remedies. 1. Understand how the doṣas “push” or provoke each other. 3. List and describe the sapta (7) śamana (doṣa-palliative) techniques: (thirst, wind bath, sun bath, dīpana, pācana, hunger, exercise). 4. Be familiar with the basic components of dinacaryā. The salient points of the philosophies that pervade Āyurveda, including the four aims and stages of life and sāṃkhya philosophy. The students that took this course live, completed it over the course of two fairly intensive weeks. We estimate that it will take 51.5 hours to go through the entire course and material once, but we highly recommend you take your time with the material, and review it as much as you need to feel very comfortable with it, before moving on to Foundations of Āyurveda Part II. Students who have taken this course report benefiting from listening to the lessons and reviewing the material multiple times. This may mean carving out about 10-20 hours a month to devote to the lessons. You will have access to the course for one year from the time you register. Most students find this quite sufficient. However, at the end of the year, you will be given an option to extend your access either for another year for 50% off the original price, or for $50 per extra month of access. If you feel you might need significantly more time to complete and assimilate the course, there is also an option to take up to 11 years to complete it by–instead of registering for this full course– taking the 11 lessons, successively, from the, “A la carte topics” choice in the menu when you hover over, “Foundations of Ayurveda I” in the, “Online Courses” drop-down menu of this website. That way you would have one year access for each of the 11 lessons of this full course. Yes. There is a quiz at the end of each of the 11 lessons. After quiz #11, there is a final exam. They are not tricky questions. In fact, they are decidedly un-tricky. All quiz questions cover the stated objectives listed for each section. There is a final exam for those who successfully complete all the lessons. All passing grades are 80%. Laws differ, not only from country to country, but often between states, provinces, or other localities. We are not able to provide you information about the laws where you reside. Each of us needs to educate ourselves about the laws that apply in our own location, and determine if and how Āyurveda can be practiced legally and safely there. If you are a citizen of the United States (US), there is currently no licensure in any state within the US. 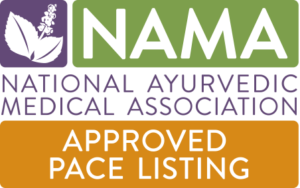 Please see the website National Āyurvedic Medical Association (NAMA) for more information relevant to the US. .